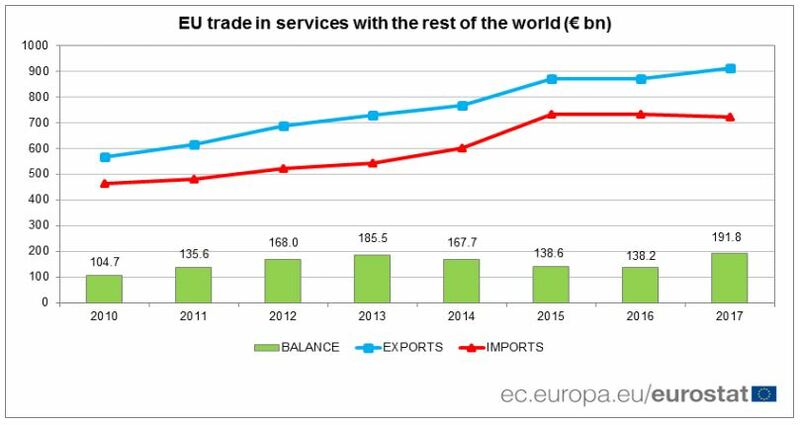 in 2016 to €912.4 bn in 2017, while EU imports decreased by 2%, from €732.3 bn to €720.7 bn. In 2017, the main partners for EU exports of services remained the United States (€236.2 billion, or 26% of total EU exports) and the four EFTA countries together (€150.4 bn, 16%), well ahead of China (€46.7 bn, 5%) and Japan (€34.7 bn, 4%). 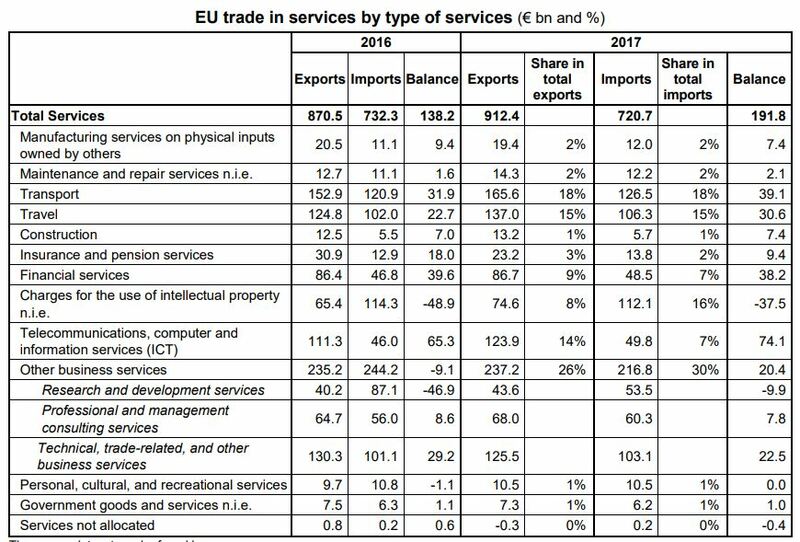 The main partner for EU imports of services also continued to be the United States (€223.7 bn, 31% of total EU imports), followed by the EFTA countries (€90.0 bn, 12%), ahead of China (€30.6 bn, 4%), Singapore (€22.3 bn, 3%) and Japan (€18.3 bn, 3%). The EU recorded surpluses with almost all its main partners in 2017, except Turkey (-€1.6 bn) and India (-€0.5 bn). Among the main partners, the largest surplus was observed in trade with the EFTA countries (+€60.4 bn), ahead of Russia (+€16.5 bn), Japan (+€16.3 bn) and China (+€16.0 bn). The European Union (EU) includes Belgium, Bulgaria, Czechia, Denmark, Germany, Estonia, Ireland, Greece, Spain, France, Croatia, Italy, Cyprus, Latvia, Lithuania, Luxembourg, Hungary, Malta, the Netherlands, Austria, Poland, Portugal, Romania, Slovenia, Slovakia, Finland, Sweden and the United Kingdom. EFTA (European Free Trade Association) includes Iceland, Liechtenstein, Norway and Switzerland. The full geographical breakdown of the services account is available on the Eurostat website. All figures can be downloaded from the balance of payments section. The main methodological references used for the production of statistics on international trade in services are the International Monetary Fund (IMF)’s sixth balance of payments manual (BPM6) and the United Nations’ manual on statistics of international trade in services. International trade in services is geographically allocated according to the residence of the trading partner. The annual statistics on EU international trade in services are collected under the BPM6 methodology. 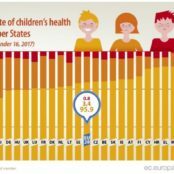 Figures are provided by the Member States to Eurostat nine months after the reference period. 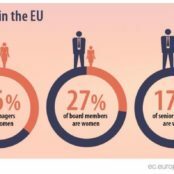 The annual data covered in this News Release will be revised in one year’s time when revised data will be transmitted by Member States. The figures shown in the tables may not exactly add up due to rounding.